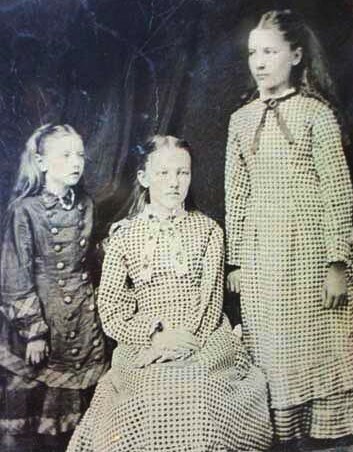 The Ingalls Sisters. Carrie (left), Mary (middle), and Laura (right). Wallpaper and background images in the laura ingalls wilder club tagged: laura ingalls wilder carrie mary. i am so happy i found theese pics.i needed some for a history prodject and couldnt find them anywhere!! If only young ladies today were so ladylike.